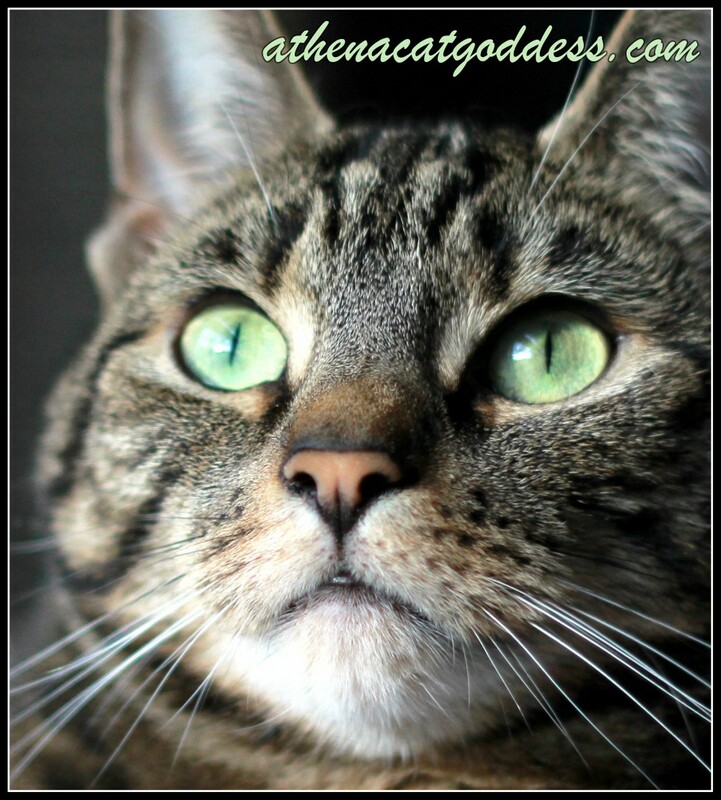 Athena, you haz the most beautifullest green eyes! You are so beautiful, Athena! I love your bright green eyes. :) I can see how much your Mum loves you in this photo (how we feel affects the photos we take). Athena, I bet you get all the humans attention with those purrrRRRrrrty eyes. So pretty, love those eyes. Athena, we love this photo of you. Just look at your big beautiful eyes!